This is the key game for the final qualification spot from Group D. Maccabi not only have to win, they have to win by 11 points or more in order to overtake the Istanbul side and book a place in the Top 16. It is a tall order but both teams know exactly what they have to on Thursday to look forward to Euroleague action in the New Year. The 73-84 win that Darussafaka enjoyed in Tel Aviv last month is the key factor going into this game. The 22 points secured by Manu Markoishvilli made a big difference to the game and the 18 points grabbed by Semih Erden helped as well. These were potentially defining moments in the group stage and you can guarantee that these two players will be desperate to ensure that their Israeli heroics actually matter. The home side may be caught in between twisting and sticking but if they play their standard game they will have a great chance of making it through to the Top 16. The Maccabi FOX Tel Aviv players know that a failure to win well in this game sees them clinching an unwanted piece of club history. Maccabi have made it to the Top 16 every year since the millennium but the Tel Aviv side needs a massive win to ensure that they avoid the Eurocup in the New Year. 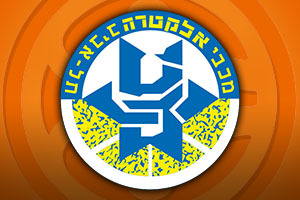 A change of coach has revitalised Maccabi, and they have won in their last two games. Players like Devin Smith and Taylor Rochestie have been instrumental in giving new hope to Maccabi fans but has it all been too little too late for one of the classic Euoleague teams? 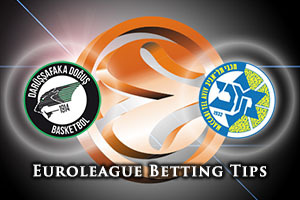 The bookies are struggling to split the teams but make Maccabi slight favourites. You can expect Maccabi to win the game but probably not clinch qualification. Taking Maccabi FOX Tel Aviv at -1, at odds of 1.90 is a sound bet. For the Over/Under market, look to go OVER 149.5 at odds of 1.90 on Thursday evening. Bet Now!